For details on how to apply, please refer to the Careers Page. The Basement Recovery Project (TBRP) is looking to recruit a trainee recovery coach who is keen to learn and support all aspects of working within our recovery community. The role will spread across all areas of work and various locations including; detox house, therapeutic housing, community hubs, recovery groups and administrative work. •	To assist with the organisation and facilitation of the day-to-day running of the therapeutic community activities. •	Motivate and empower substance users from across Kirklees and Calderdale to engage with effective, evidenced based, individual recovery focused programmes. •	To work proactively and effectively with the multi-disciplinary team to ensure that substance users are getting the best possible outcomes and care plan targets are being met. •	To utilise a flexible approach and where required, participate in activities and tasks which directly respond to client and service need. •	To help with regular consultation/communication with service users. 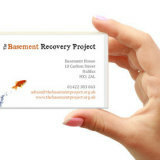 •	To help facilitate the TBRP pre-recovery and abstinence programme of recovery. •	To help co-ordinate the residents’ tasks and activities and to provide assistance and support to sessional workers. •	Assist clients to take advantage of a range of health and social well-being services, and encourage clients to access a range of support groups and organisations. •	To provide kitchen / household domestic duties to ensure a clean and safe environment is provided for the wellbeing of our clients. •	To act as host for visitors to the project, arranging to meet with key personnel, showing them around the building and talking / presenting the TBRP story. 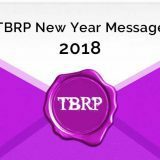 •	To act as public champions for TBRP, speaking / presenting when the opportunity arises. •	A range of administrative work including To assist in carrying out the day to day office functions – post, banking, data entry, answering the phone, providing IT support to staff, drafting letters, compiling reports etc. For more information, download the Job Description file. Amendments: This description conveys the present position; it may be amended and reviewed. Any change will be made following a proper period of consultation. Amendments: This description accurately reflects the present position; it may be amended and reviewed. Any change will be made following a proper period of consultation.